Fighting climate change is as simple as building collaborative relationships with colleagues in other jurisdictions or sectors. Our new report shows what’s possible and how it can be done! 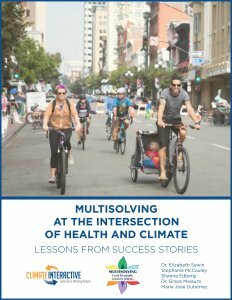 Multisolving at the Intersection of Health and Climate: Lessons From Success Stories, which was supported by a grant from the Robert Wood Johnson Foundation, shares insights on the opportunities, tools, and approaches that helped leaders create interconnected climate and health benefits from a small to a large scale. Join our webinar to learn more on Wednesday, February 14, at 9 am EST. 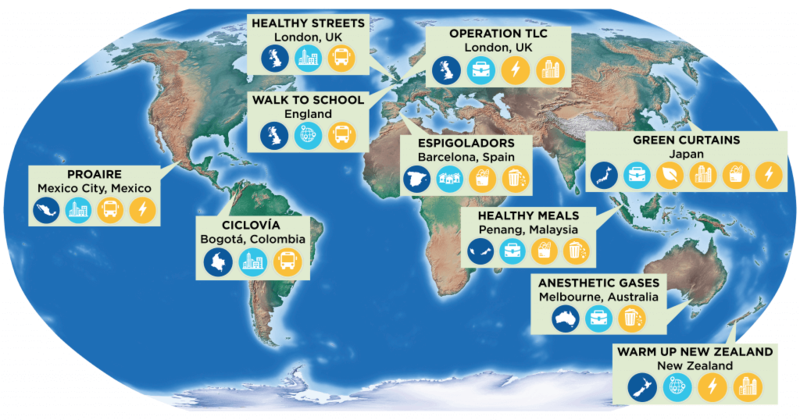 The case studies include a company in Japan that began growing vegetative “curtains” on the walls of its buildings, a town in England that encouraged students to walk to school, a hospital in Malaysia that serves only vegetarian meals, and many more examples of individuals, businesses, and communities forging initiatives that improve public health or patient outcomes while also protecting the climate. The full list of case studies can be viewed on the map below or read individually here. The examples are inspiring, but just as important is what the report has to say about the attitudes and approaches seen across the diverse case studies. 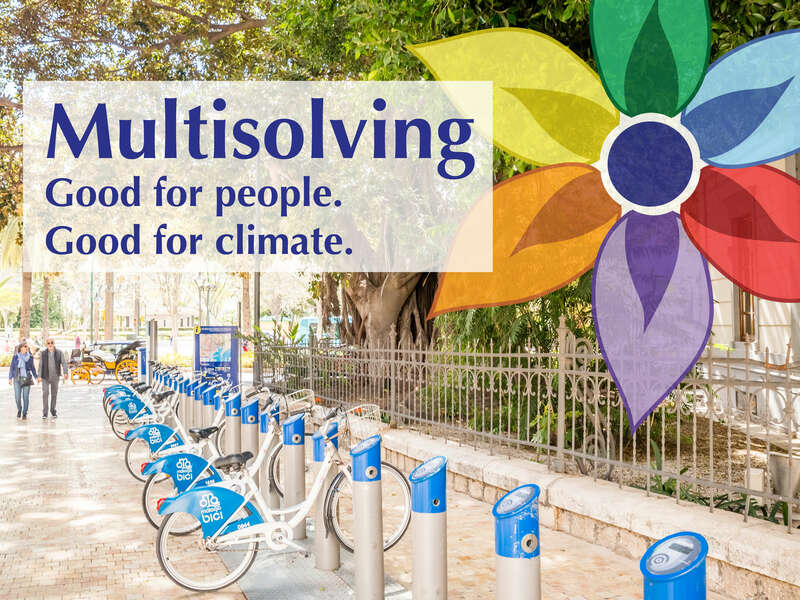 Designing projects to learn and evolve, investing in relationship building, and paying particular attention to measuring a wide suite of benefits (as opposed to just GHG reductions) were keys to success, whether projects reduced food waste, made hospitals run more efficiently, or got people out in their communities on foot and on bicycle. If you are looking for inspiring climate news, or better yet, if you want to be part of creating inspiring climate stories, read more here, download the report (pdf, zip), or sign up for our upcoming webinars.